The Stretton boasts a sleek design as well as being simple and easy to use. 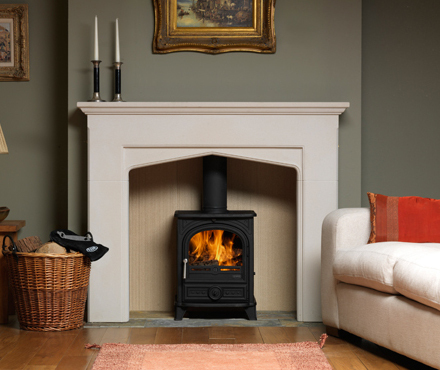 With 78.4% efficiency and a nominal heat output of 4.9kw (maximum heat output 7.4kw) it's a great solution to owning a cast iron multi fuel stove whilst keeping a focal point of a traditional fireplace. 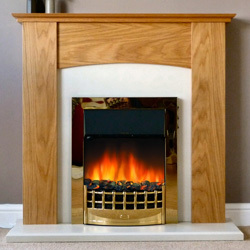 The Stretton can be positioned into a 16" or 18" fireplace. 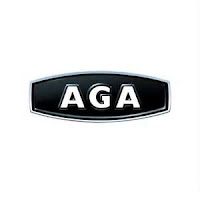 Designed to the highest AGA standards, precisely engineered to give an extremely effective air-wash systems. It also has an adjustable secondary air wash system to ensure the glass is kept clean. The removable black handle, shaker grate, ash pan, fire fence and front ash tray all help the Stretton exceptionally easy to use. it is just perfect for those looking for warmth and style. ESSE is the UK's longest-standing stove manufacturer but is still at the cutting edge of the industry thanks to its innovative cast iron range cookers, energy-efficient wood-burning stoves and stylish gas stoves. The knowledge and skills developed over more than a century and a half, go into everything we do and ESSE range cookers and stoves are hand built to last a lifetime - just ask one ESSE owner, whose cast iron ESSE range cooker has been in continuous daily use since 1920! From River cottage to the Himalayas, Australia to the Arctic, and everywhere in between... ESSE range cookers and stoves have been relied upon in the world's most demanding environments. 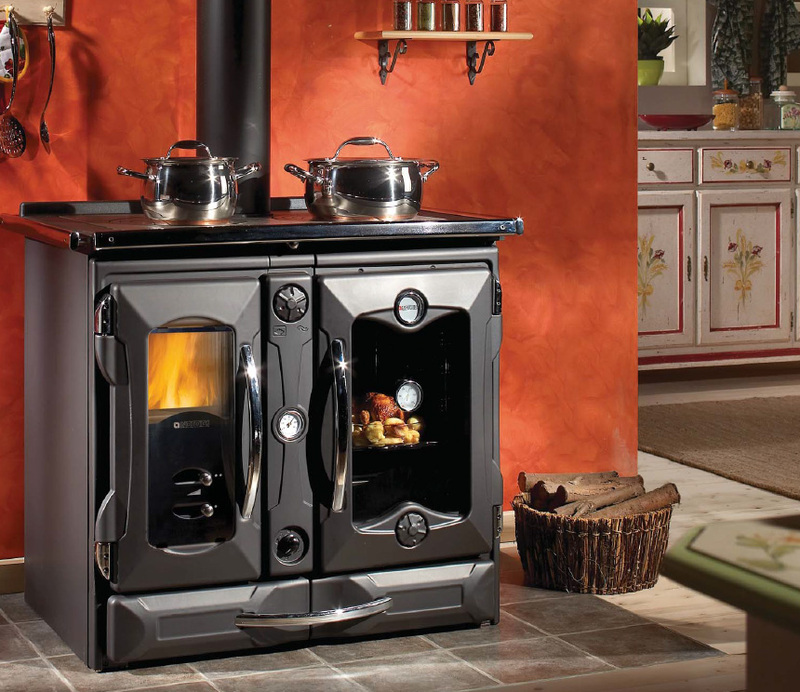 We take a look at two of their most popular stoves. The 525 stands solidly on 2" full height stainless tubular steel legs culminating at a steel top that has been laser cut to echo the curves of the the legs. The result is a clean contemporary look with a softer edge. 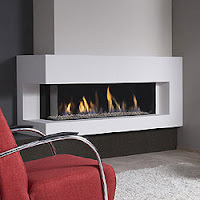 The spectacular and uncluttered view of the flames is elegantly framed by its stainless steel legs and can be easily controlled by beautifully engineered, minimalist air controls. The firebox door glides open with an effortless action thanks to unique 'invisible' hinges. Its small footprint and moderate output make it easy to plan into a modern living space without overpowering a centrally heated room. At its heart beats a proven firebox designed for burning smokeless fuels with a grate, ashpan and external riddling control. The 525 can burn multi-fuel and/or wood but for improved wood-burning performance a conversion kit is available that is simple to fit and will improve control and efficiency when burning logs. 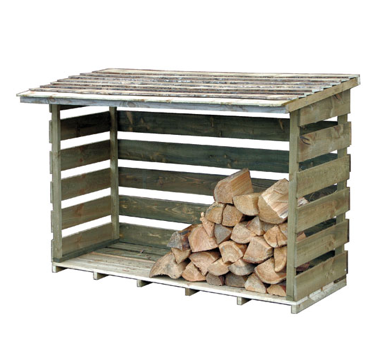 The 500 can burn multi-fuel and/or wood, but for improved wood burning performance a conversion kit is available that is simple to fit and will improve control and efficiency when burning logs. 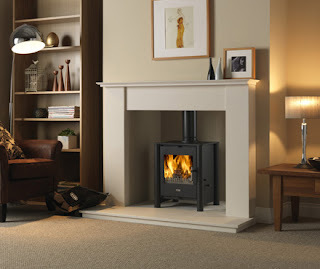 This 5kW stove offers form and function in perfect harmony. Its balanced proportions, elegant curves and cast iron detailing have been created from a furniture design perspective by leading designer Paul Galley, whilst its fuel burning capability has evolved, like all ESSE stoves over a century and a half. The 500 is simple to operate and this multi-fuel version will happily burn wood and any type of solid fuel. 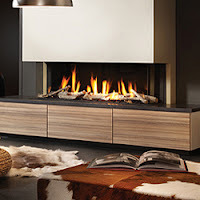 The Metro 130XT series is a very special group of models DRU Metro series, panoramic fireplace is available in five version. Front, tunnel,double, triple and the XTL corner model. Aside from the modern design and the high natural flames Drugasar offers a number of option, making it possible to assemble the fireplace to your personal preferences. The interior is available in smooth black or reflective black ceraglass for added depth. 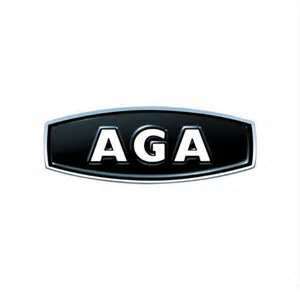 In addition, there is a choice of logs, carrara stones or greystone pebbles for the fire bed. When you consider the usual DRU build quality, with balanced flue system and electronic remote control, you have a series of models from the top drawer of fireplace design and production. Building on the success of the original Firefox Stoves, Gallery have released The Firefox Classic range, these stoves have a squarer look to it than the standard Firefox stoves, the door is different and the window is not rounded at the corners, giving the range a more rustic feel. Built from solid cast iron, the Firefox 5 Classic boasts has a nominal heat output of 4.9kW and is a multifuel stove suited to the smaller room and also DEFRA approved for use in smoke control areas. Also benefiting from an airwash system to ensure the glass stays clean of any deposits and a stay-cool handle the Firefox Classic 5 is the ideal entry level stove. Boasting the same airwash and stay-cool handle the Classic 8 is the bigger brother of the Classic 5. 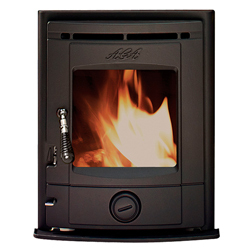 The Firefox 8 Classic is an 8kW stove with an uncluttered angular design. 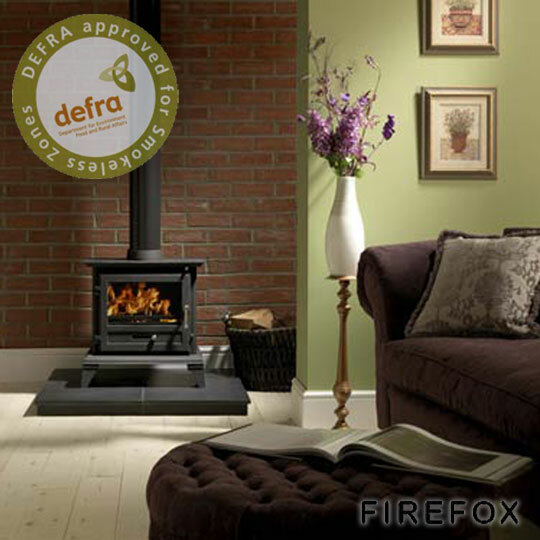 At 8kW the Firefox 8 Classic stove is suited to heating a medium sized room and because it is a Defra Exempt you can burn wood in it in a smoke control area. 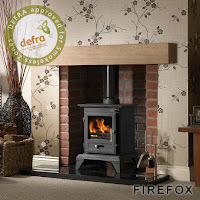 The Firefox 8TD Twin Door stove is based on the popular firefox 12 and is now available with two doors.The double door version of the popular Firefox 8 multifuel stove has all the features you would expect on a high-end stove.With a maximum heat output of 8.4kW, the Firefox 8 TD is well suited to larger rooms. The stove has primary and secondary air controls with Airwash to help keep the glass clean with 79% Efficiency that is among the highest efficiencies available for a wood burning stove. 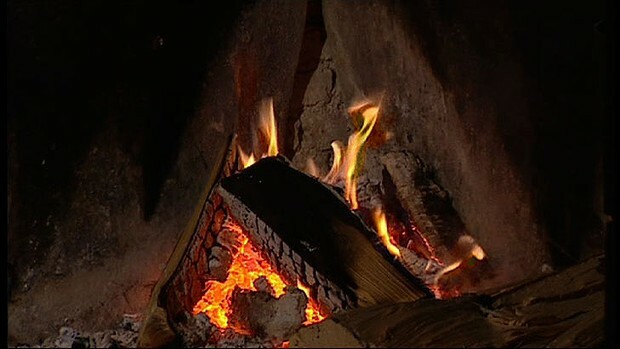 OSLO, Norway: The TV program, on the topic of firewood, consisted mostly of people in parkas chatting and chopping in the woods and then eight hours of a fire burning in a fireplace. Yet no sooner had it begun, on prime time on Friday night, than the angry responses came pouring in. "We received about 60 text messages from people complaining about the stacking in the program," said Lars Mytting, whose best-selling book Solid Wood: All About Chopping, Drying and Stacking Wood — and the Soul of Wood-Burning inspired the broadcast. "Fifty per cent complained that the bark was facing up, and the rest complained that the bark was facing down." "I couldn't go to bed because I was so excited." He explained, "One thing that really divides Norway is bark." One thing that does not divide Norway, apparently, is its love of discussing Norwegian wood. Nearly 1 million people, or 20 per cent of the population, tuned in at some point to the program, which aired on the state broadcaster, NRK. "My first thought was, 'Well, why not make a TV series about firewood?"' Moeklebust said. "And that eventually cut down to a 12-hour show, with four hours of ordinary produced television, and then eight hours of showing a fireplace live." There is no question that it is a popular topic. Solid Wood spent more than a year on the non-fiction best-seller list in Norway. Sales so far have exceeded 150,000 copies not far below the figures for E.L. James' Norwegian version of Fifty Shades of Grey, proof that thrills come in many forms. National Firewood Night, as Friday's program was called, opened with the host, Rebecca Nedregotten Strand, promising to "try to get to the core of Norwegian firewood culture — because firewood is the foundation of our lives". Various people discussed its historical and personal significance. "We'll be sawing, we'll be splitting, we'll be stacking and we'll be burning," Nedregotten Strand said. But the real excitement came when the action moved, four hours later, to a fireplace in a Bergen farmhouse - the fire on National Firewood Night burned all night long, in suspensefully unscripted configurations. Fresh wood was added through the hours by an NRK photographer named Ingrid Tangstad Hatlevoll, aided by viewers who sent advice via Facebook on where exactly to place it . For most of the time, the only sound came from the fire. Hatlevoli's face never appeared on screen, but occasionally her hands could be seen putting logs in the fireplace, or cooking sausages and marshmallows on sticks. "I couldn't go to bed because I was so excited," a viewer called niesa36 said on the Dagbladet newspaper website. "When will they add new logs? Just before I managed to tear myself away, they must have opened the flue a little, because just then the flames shot a little higher. "I'm not being ironic," the viewer continued. "For some reason, this broadcast was very calming and very exciting at the same time." To be fair, the program was not universally acclaimed. On Twitter, a viewer named Andre Ulveseter said: "Went to throw a log on the fire, got mixed up, and smashed it right into the TV." 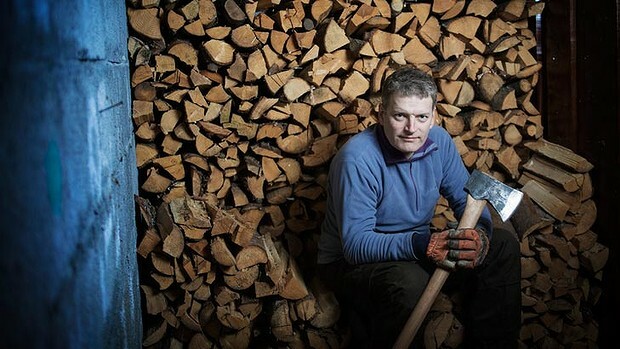 But Derek Miller, an expatriate American and author of the novel Norwegian by Night, said the broadcast appealed to Norwegians' nostalgia for a simpler time as well as demonstrating the importance of firewood in their lives. "The sense of creating warmth, both symbolically and literally, to share conversation, to share food, to share silence, is essential to the Norwegian identity," he said in an interview. Solid Wood, the title of Mytting's book, has a double meaning in Norwegian, signifying also a person with a strong, dependable character. Its publication appears to have given older Norwegian men, a traditionally taciturn group, permission to reveal their deepest thoughts while seemingly discussing firewood. In this way they are akin to passionate fishermen roused from monosyllabic interludes by topics like which fly to use and how to really understand what a trout is thinking. "What I've learned is that you should not ask a Norwegian what he likes about firewood, but how he does it — because that's the way he reveals himself," said Mytting. "You can tell a lot about a person from his firewood stack." The book has proved particularly popular as a gift for hard-to-shop-for men. "People buy it for their dads, their uncles — 'I don't know what to get him, but he has always liked wood,"' said William Jerde, a clerk at the Tanum bookstore in downtown Oslo. Tobias Sederholm, a clerk in a different store, said that one customer came in after Christmas having received copies from seven different family members. Petter Nissen-Lie, 44, a lawyer in Oslo who every morning before breakfast lights a fire with wood he has chopped himself, said he understood perfectly what all the fuss was about. The other day, he said, one of his three axes broke at his vacation home in the mountains, and he took it back to the store where he had bought it a decade earlier. When he tried to pay for repairs, he said, the storekeeper declared that "this sort of thing should not happen to our axe," and insisted on doing it free. "It was very important for this man to carry quality axes," Nissen-Lie said. Where does Nissen-Lie stand on the important bark-in-the-woodpile question? "I like to have the bark facing down," he explained, in summary. "That's the way I learned from my grandfather, and I believe it's drier that way. But I respect that there are different ways to do it — and basically the most important thing is how much air you leave around the logs." Delta Fireplaces have a wide range of suites, for example take this Delta Aston suite in a modern oak effect surround complete with back panel and hearth in marfil or black granite effect and with a fire in brass, black and chrome, which has 3 settings which can be easily controlled from switches on the side of the fire the settings are flame effect only, 1 kw and 2kw heat outputs. This Delta Aston suite is suitable for people without a flue as it come completely freestanding for easy installation and no depth is requires in your wall. 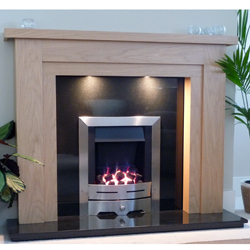 Here we have the Delta Marton electric suite a fantastic looking Delta suite with a contemporary oak effect surround with a choice of marfil or black granite effect back and hearth and comes complete with a electric fire in either brass, black or chrome. This Delta Marton suite can come with down lights which is a optional extra. 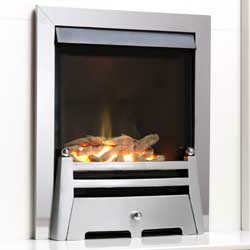 Again this Delta suite is freestanding so its suitable for people with out a flue. The Apex Capacious HE Gas Fire a modern highly efficient inset gas fire comes standard with manual control and can be upgraded to remote control, so the fire can be easily controlled from your sofa. 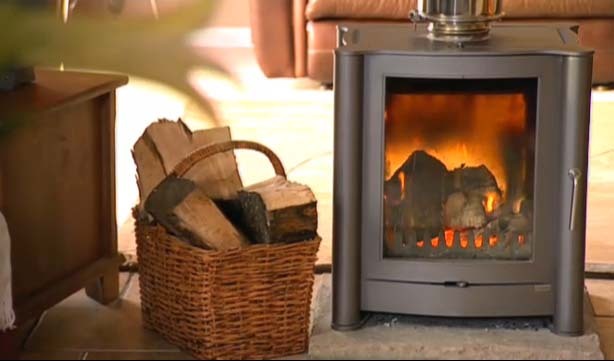 The heat output of the Capacious is a hot 4.4kw and up to an amazing 89% efficient. 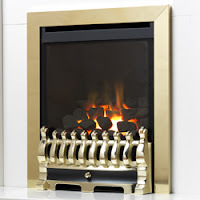 This Apex fire is available in a number of different finishes including brass, brushed steel, polished steel and black, as well as a number of different styles of frets. And available with coals or pebbles for the fuel effect. The Apex Samson balanced flue gas,fire the alternative choice to the Capacious if you don't have a flue, the Apex Samson comes as standard with manual control and again can be upgraded to remote control. Heat output of 4.4kw and up to 85% efficient, available with the same finishes and the Capacious, brass. brushed steel, polished and black. Also the fuel effect can come with coals, pebble and driftwood and like the Capacious can come with a number of different frets. It may be a slow burner but will it fire up the audience? 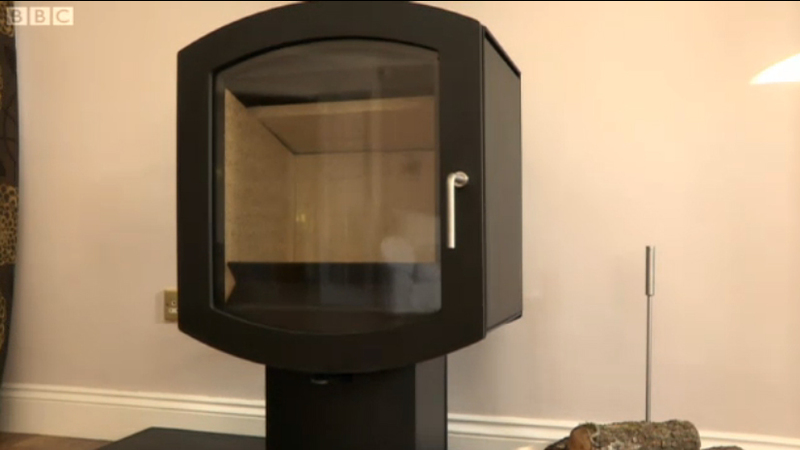 Norwegian public TV is broadcasting a programme showing a crackling fireplace - for 12 hours. The NRK woodathon features firewood specialists providing commentary and advice on subjects such as chopping, stacking and burning the wood. The transmission, entitled Hel Ved, also features music and poetry. The head of programming at NRK, Rune Moeklebust, described it as "slow but noble television". "We'll talk about the very nerdy subjects like burning, slicing and stacking the wood, but we'll also have cultural segments with music and poems," he said. NRK is no stranger to such programming, correspondents say. In 2011 it broadcast more than a 130 hours of a cruise ship sailing up the Norwegian coast to the Arctic. Mr Moeklebust said the production was inspired by the roaring success of a firewood book by Lars Mytting, Hel Ved - which translates as Strong Character, and is also a pun on ved - the Norwegian for firewood. "People in Norway have a spiritual relationship with fire," Mr Moeklebust was quoted as telling Reuters. "Fire is the reason we're here, if there was no firewood, we couldn't live in Norway, we'd freeze." The new Costa Union electric suite in a modern real oak veneer finish, black back panel & hearth and a brass LED coal effect electric fire. This Costa suite is completely freestanding so no depth is required in your wall, ideal for people with out a flue. The electric fire comes with 3 settings, flame effect only, 1kw heat output and 2kw heat output. Also this suite comes fully assembled for easy installation. Another new electric Suite from Costa called the Costa Society, comes with a stylish Satin ivory effect surround complete with black back & hearth and a choice of brass or chrome electric fire, agin the electric fire come with 3 setting. The clean lines and uncluttered design combine to create two very good looking electric suites, perfect for any living space and can help that much sought after ambience that can only be created by a fire. No New Year is complete without a trendy diet or two. With that in mind, Gr8 fires have come up with the Wood-Burning Stove Diet – the perfect way to keep your stove in shape for the year ahead. All diets are aided by regular exercise and the Wood-Burning Stove Diet is no different. Get out and about to collect free wood from fallen trees and branches. Not only will you have fun and get some great physical activity, you’ll also ensure your heating bills are slimline in no time at all. You need to make sure your stove is eating the right things. That means seasoned wood that’s low in moisture. Water is to your stove what sugary foods are to you and I, so keep your stove’s intake to a minimum. Green, freshly cut wood is not good for your stove at all. A nice snack of dry kindling will help your stove to get the most of the logs you give it later. Lighting your stove with kindling warms the firebox and gets the stove up to temperature so that the fuel you then add is used to warm the room, not the stove. Just like us humans, wood-burning stoves benefit from feeding less regularly. If you see the flames starting to die down you might think your stove is getting a bit peckish for more wood. But don’t reload your stove until the existing logs are reduced to embers. This cuts down your fuel expenses and makes your stove operate more efficiently. Most diets fizzle out after a few weeks. With the Wood-Burning Stove Diet you have to keep in mind that the benefits are lasting. 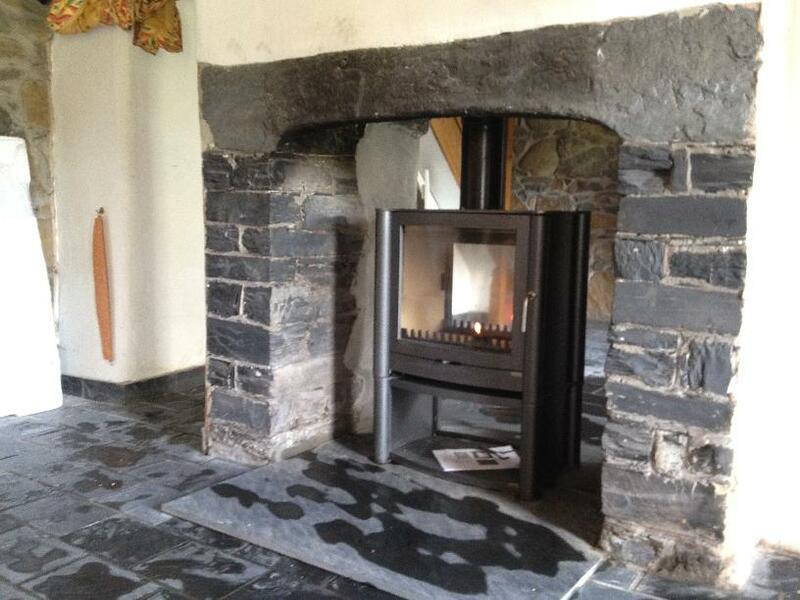 After your initial outlay to install a stove, you’ll continue to save year after year. So, once you’ve got those energy bills knocked into shape you know they’ll stay that way. 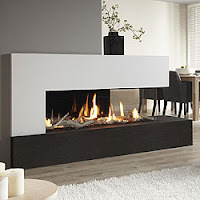 The Inifinity 780FL built-in gas fire from Charlton & Jenrick has won massive favour with the UK public this winter, looking at the fire burning it is not hard to see why. Designed from the ground up as an all-new model to expand the new Infinity fires range, the conventionally flued 780FL offers a dramatic flame effect and log bed in a fire chamber unencumbered by a trim or fascia. Fully featured thermostatic battery remote control is standard. There is choice of Vermiculite, brick back or modern black glass liners. ‘Built in’ or ‘Trimless’ gas fires and stoves are gaining popularity primarily because the ambience of a substantial flame effect fire can still be enjoyed as a contemporary main focal point without any extraneous clutter. Minimalist style interiors can be enhanced by extending the wall right up to the fire opening eliminating the need to add any kind of trim, slips or fireplace. On the other hand the standard fire also adapts to installation within a more traditional surround set with ease utilising a back panel running right up to its window surround frame. A range of new suites featuring this fire have also been introduced in a number of materials including; Limestone, Black Granite and new Neastone™. As you would expect from the experienced engineers at C&J the installation and servicing aspects of the firebox have been fully considered to make the fire much easier to install and service than similar looking products that can be found on the market. For a start the UK produced conventional flue design does not require any liners, debris or adaptor kits and no expensive balanced flue system need be installed unnecessarily into most British homes. Battery access is easily achieved from the front without tools. Glass panel, log set and other components are simply removed from the opening in minutes. All components of the control system, burner and inner firebox are fully contained within the outer firebox envelope thereby negating the need for any supporting framework or even excavation beneath the base of the opening or into walls to accommodate controls. For annual servicing and catchment area inspection the inner firebox components can be removed through the front opening and an inspection panel removed at the rear of the outer firebox. The spectacular flame effect is generated from a bespoke burner design unique to C&J and specially developed to maintain gas input at a very reasonable 6.6kW on natural gas. This obviously means there is no need to provide additional ventilation in the vast majority of cases. State of the art ceramic logs and firebox liners enhance the fire to a high level expected at this premium product level. The Infinity range are only available from showrooms and cannot be purchased Online, so why not pop down to your local Infinity retailer and experience the quality of an Infinity fire first hand. Should I Buy an Electric Fire? 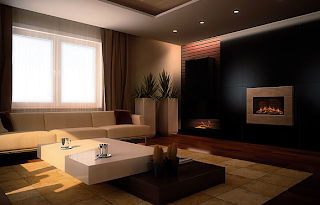 Most other forms of heating require something to be burned within your home to generate the heat. During that process, energy is lost so the amount of heat you get is less than what you paid for. With electric heating, you get 100% efficiency. There are times when the thought of collecting wood, setting fires, ordering oil and other heating related activities are not your top priority. There’s something to be said for having a heat at the click of a button. Electric fires don’t annoy the neighbours and don’t even have to take up floorspace. Modern wall-mounted electric fires mean you can heat your room effectively without needing so much as a fireplace. Installation of some forms of heating can cost upwards of £1,000. 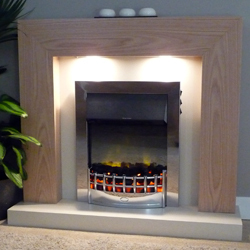 Installing an electric fire can be as easy as putting a plug into a socket. With a traditional fireplace, you’re pretty much tied to the chimney breast. You have to give consideration to flue systems and pipework. Electric fires open up an array of new design opportunities. Your imagination is the only restriction on how you’d like the fire to work within your space. Other heating methods carry the risk of toxic fumes if they’re not installed correctly. As we’ve already mentioned, nothing is burned in your home to create the heat for an electric fire so there is no chance of carbon monoxide poisoning. The technology for creating artificial flames gets better all the time. If the feel of a traditional fire is important to you, it’s never been easier to create the illusion of a real fire in your home. Should I Shut The Door? Something that often causes confusion among wood-burning stove newcomers is the door. Should it be open? Should it be closed? The short answer is closed. And in most stoves it’s better to close the door as soon as possible. The reason is quite simple. 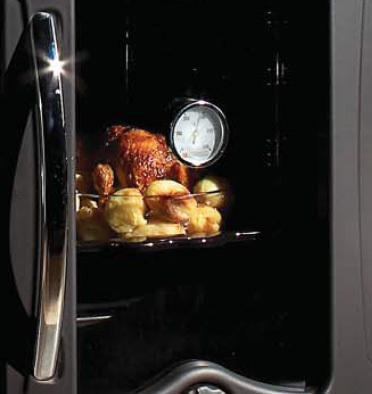 With the door closed, your stove is up to 60% more efficient than if you have the door open. That means more heat in the room and less expense for you. The confusion probably stems from people who are used to that instant blast of heat that comes from lighting an open fire. With a wood burner, you’re not supposed to feel the heat from the flames. Not directly, at least. The flames in the firebox heats the metal panels that make up your stove. They, in turn, heat the rest of the room. It’s a more efficient way of heating your home than an open fire because less heat escapes. If you think about it, closed is the obvious answer. Otherwise some enterprising company would have stopped putting the doors on and sold them at a cheaper price! Assuming you’ve set your stove with newspaper and kindling, as soon as you’ve lit the newspaper is usually the best time to close the door. 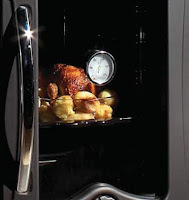 You should already have the air vents open while lighting the stove, so there is still a good air supply. Some stove manufacturers prefer you to keep the door slightly open during these initial stages of the lighting process. Check your manufacturer’s manual to see if this is recommended for your stove. You’ll soon learn what works best for your stove from experimenting. Even if you are leaving the door ajar, as soon as the stove is properly lit you should close the door. It’s decidedly chilly outside. 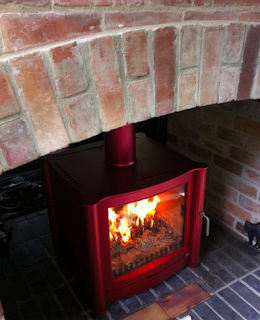 If you’ve gone to the effort of lighting a wood-burning stove, you don’t really want to have to do it twice. You want to keep the fire lit and keep your home nicely snug. Here are our tips for keeping your wood-burning stove lit. Just like start-up businesses, most unsuccessful fires fail before they’ve even got started. Getting a good fire going is the key to keeping your stove lit. Once you’ve got the guts of a blazing fire, it’s much easier to maintain. Follow our instructions on how to light a wood-burning stove to make sure you’re on the right track. The air vents on your stove are your way of controlling how quickly the fuel on your stove burns. Close all the vents and you can starve the fire of the oxygen it needs to keep burning. Open the vents fully and your fuel will be used up very quickly as a result of all the extra oxygen. If you want to keep your stove lit with minimal supervision, you need to let just the right amount of oxygen in to keep the fire burning while ensuring the fuel lasts as long as possible. Experimentation is the best way to find out what works. Hardwoods, like ash, beech, hawthorn and oak, are much slower burners than softwoods. It makes sense, then, to use them when you’re trying to sustain a fire. Making sure the wood is seasoned before you use it will also help. This one is particularly relevant to multi-fuel stoves when you’re burning coal or smokeless fuels. If you’re keeping a fire in for a long time, that build up of ash can really clog up the airflow. And for coal and smokeless fuels it is vital to have a good air supply from below to keep the stove lit. Riddle the grate and clear the ashpan to stop the build-up. It might seem obvious but it’s worth pointing out that it is sensible to load a final top-up of fuel to your stove before parting company with it. That way the fuel has only just begun to burn and has more chance of lasting until you return. Today Fires|Fireplace|Stoves is going dutch, no we're not splitting the lunch bill, we're going behind the scenes at Drugasar to see just who is responsible for creating such uniquely designed fires. Josef Aspinall works as a designer at DRU. Aside from designing new products the translation of appealing ambient photography, showroom set-up and designing stands for trade fairs all fall under Josef Aspinall's remit. “We develop products that continuously meet the highest stipulations and as such retain the level of quality we are used to. Where homes are becoming increasingly better insulated, we offer products for example that still deliver a lovely flame but with less capacity," says Josef Aspinall. “Through constant research and development we offer new possibilities year on year which the customer of tomorrow can identify with. 2012 will be a year in which well being and personality are central. A stove can contribute to the home's ambience. The premise: being and living together in a dynamic environment." Jeroen van Dijk is just one of the architects who serves as a product development sparring partner in the DRU focus group project. With his experience in design and consultation in the field of interiors and smallscale new builds, he comes into daily contact with consumers and their specific interior needs and wishes. Jeroen has regularly placed DRU stoves in his line of work. ‘We consciously work with DRU stoves as the possibilities in model, design, capacity and technique are highly diverse and revolutionary," says Van Dijk. 2architecten came about towards the end of 2008 after a collaboration between Roy Bertholet and Björn Schoeberichts. Based in their office in Eindhoven they worked on a plethora of nationwide projects, ranging from renovations to a private clinic. Roy Berholet is also a sparringspartner in the DRU focus groups project. ‘A stove takes its rightful place in your home. It invites you to come and sit by it. A practical advantage is also that you can quickly make the space cosy; which takes longer with underfloor heating or central heating", says Bertholet. Regular viewers of Cowboy Trap will have spotted this Firebelly Firepod in the latest episode of the series. Host, Clive Holland revists the Ellis Family in West Sussex, who purchased a four bedroom house for their young family with dreams of extending it and making it their dream home. However the building work was left unfinished despite spending more than £90,000 pounds on it, the Cowboy builder left the property without a front door, a leaking roof and even had the nerve to ask for more money for Christmas! However with the help of Cowboy Trap the Ellis family managed to get their build back on track. A few years later Clive returned to see how they had got on with completing their build. He returned to find the house transformed with a new bathroom, kitchen and living room. The living room proudly featuring a Firebelly Firepod wood burning stove. Clive Holland commented upon seeing the stove " it's just such a fantastic focal point and that on a nice winter's evening I'd rather be watching that than the tv" and Mrs Ellis commented that she is so looking forward to the winter when they can get the stove lit up and running. The Firebelly Firepod is a stylish wood burning stove that boasts a large viewing window and airwash that mean a stunning view of the fire inside. The 10kW heat output and 78% efficiency mean that this stove is more than capable of heating a larger living space, while the outside air kit available separately means that no air vent is normally required. Available in all the signature Firebelly colours, the Firepod is the must have focal point for a living space and can really make a house feel like a home. Monitor the temperature of your home by using thermostats fitted to heating appliances. A room thermostat stops the boiler operating if the temperature exceeds the setting. Thermostatic radiator valves (TRVs) detect the local air temperature in the room and switch the radiator off if necessary. TOP TIP: Nudge your central heating thermostat down just 1°C and you could save 10% on your fuel bills! Combining a stove or range cooker with a boiler means you can have a smart appliance on show that can heat the whole house. Traditional range cookers can heat hot water for the kitchen and bathroom and run the radiators, while providing the kitchen with heat. 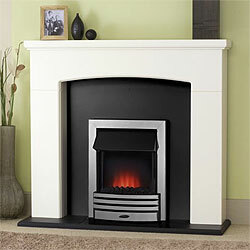 A boiler stove provides hot water and can run radiators, and works best in conjunction with other heating systems. Not feeling the benefit of your central heating system? You could be wasting money. Check your radiators are in good working order. If the top of a radiator feels cooler than the bottom then it probably needs bleeding to get rid of trapped air. There are plenty of ideas that you can put into practice around the home. Turn off all your appliances at the socket - this is much more energy efficient than leaving them on standby. Use 20 watt energy saving lightblubs - these can save you up to £70 compared to a 100w bulb. In the kitchen make sure you boil the kettle with as much water as needed (any extra is just a waste of energy), when cooking make sure you put the lid on saucepans so the food cooks quicker, turn off the heat on the stove a few minutes before you're ready to take it off and finally make sure you always match the size of the cooking ring to the size of the saucepan to avoid heating air. Warm and inviting, carpet and rugs have insulating qualities, and think about double lining curtains to keep out the cold. Electric blankets are a plus in cold bedrooms, while draught-proofing doors and windows will ward off whistling winds.